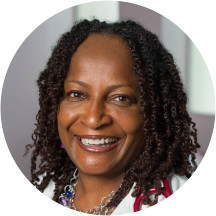 Ms. Cynthia Lidy is a caring and compassionate nurse practitioner serving the communities of Compton and Lynwood, CA. Ms. Lidy completed her master’s in nursing at California State University, Long Beach. She holds a bachelor’s dress from Illinois State University, Mennonite College of Nursing. She has obtained a certificate in nursing practice from Harbor-UCLA Medical Center. Ms. Lidy is a part of We Care Family Medical Group, where she sees patients for dermatology consultations, pediatric consultations, geriatric medicine consultations, primary care consultations, as well as other common and specialized reasons. Ms. Lidy is uncompromising in her dedication to the well-being of her patients. She is committed to giving the best care and establishing long-lasting relationships with them. She exhibits her passion for nursing in the care and precision she takes with her patients. Everyone was really friendly! All of the staff did their best to make my son feel at ease about getting his shots. They did a great job! Cynthia Lidy, NP has no appointments on Zocdoc right now.